Get ready for the fun with this exciting inflatable obstacle course rental designed just for small kids from Gravity Play Events. 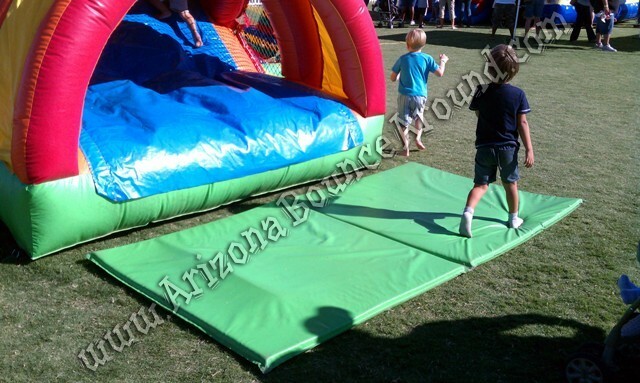 This kid’s obstacle course features easy to climb steps, 2 slides, small bounce house area with obstacles inside and a Rock Climb to the top to the top of the second slide. 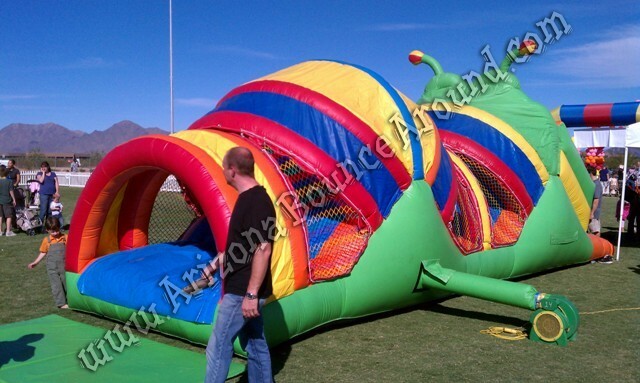 Most obstacle courses available for rent are too big for the little kids. 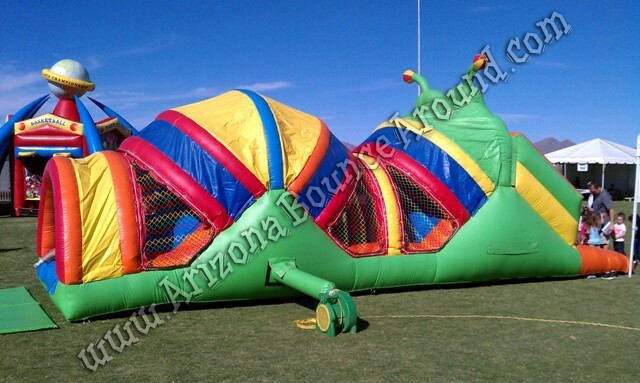 This Caterpillar obstacle course will be a big hit at your next party and features a space saving design making staffing and supervision easier. 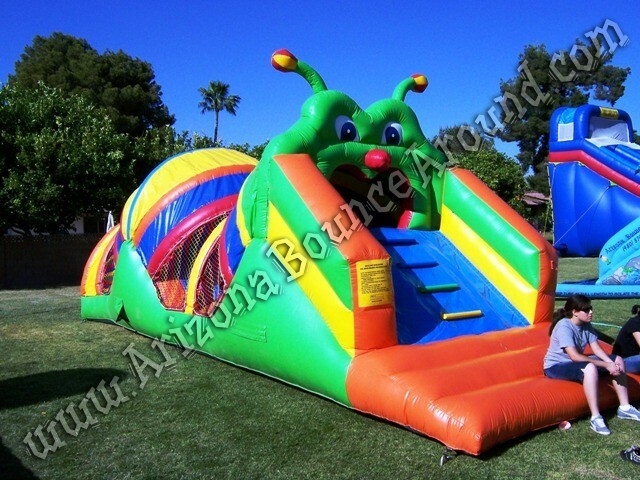 Perfect for kids birthday parties in Denver, Colorado Springs, Aurora or Fort Collins. We are your carnival game rental superstore serving all of Colorado with games and activities for kids and family events.